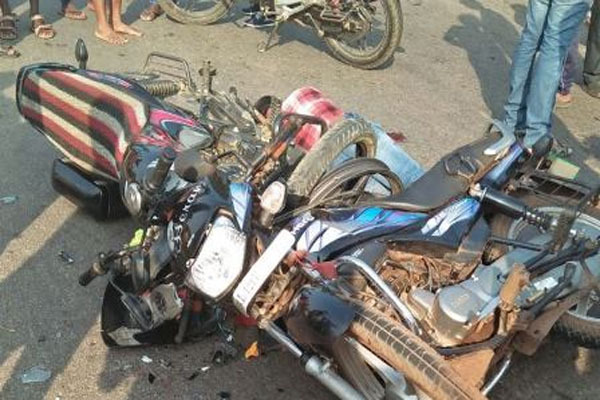 Sundergarh: Two persons were killed after their bikes collided head on at Patuadihi under Lephripada in Sundergarh district. Both died on the spot. The deceased were identified as Chandan Patel of Giringa kela and Hemant Adha. Another injured has been admitted to Sundergarh district headquarters hospital. The accident occurred when the trio was returning after enjoying Makar Mela late last night. Tags: Chandan PatelGiringa kelaHemant Adha.killedLephripadaMakar MelaPatuadihiSundergarhSundergarh district headquarters hospital.